Everything which manifests is composed of the five elements--space, water, earth, fire and air--which are inherent qualities of the true nature of mind. This includes our everyday experiences of the land, lakes, wind and sky, but also more subtle aspects of our being--our senses and the qualities of our experience. Join us as we explore the full spectrum of the elements--the rich solidity of earth, the refreshing clarity of water, the dancing heat of fire, the bracing vitality of the air and ever-yielding space. We will begin with a weekend overview and, for those who wish to explore each element in more depth, we will continue for a five-day retreat. We are delighted to be hosted at Brilley where we will have an opportunity to practice in the presence of a stupa that is a twin to the one at the Hermitage. The stupa itself can be seen as a symbolic representation of the elements, and will form an important support for our practice. We hope the retreat will provide an opportunity for making a personal connection with each of the great elements--the mahabhuta. Retreats are a precious opportunity to deepen our practice and understanding. This deepening can only take place when we fully commit to the retreat schedule and boundaries. As we set aside our habitual tendencies and personal preferences, we can begin to connect to a more elemental reality. 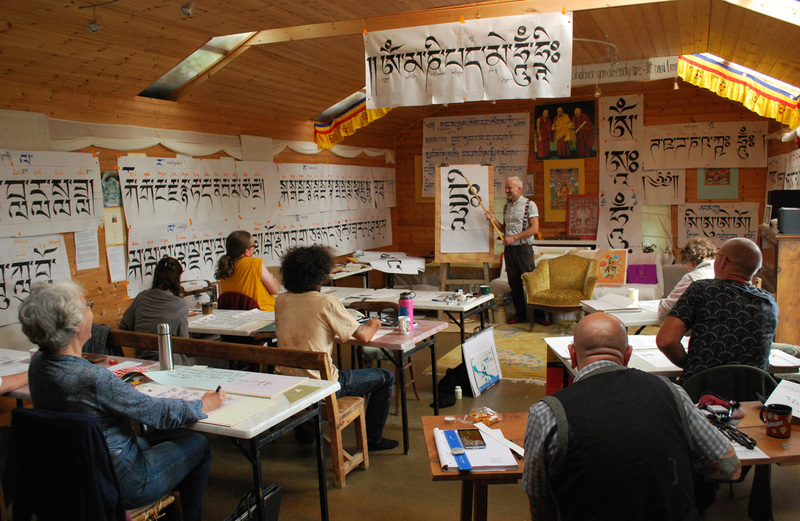 This retreat has three main elements--meditation practice (which will take a variety of forms), work (mainly connected to preparing meals), and study (receiving and contemplating teachings.) Silence will be maintained for most of the time, except during the teaching and sharing circles. Part of the day will be devoted to group practice, everyone will be expected to participate fully. And part of the day will be set aside for individual practice and contemplation. We will be practicing out doors for much of the time so it will be helpful for people to bring warm outdoor clothes, a torch and a small groundcloth. Katie Morrow became a student of Trungpa Rinpoche in 1977, and was privileged to study Dharma under his direction. 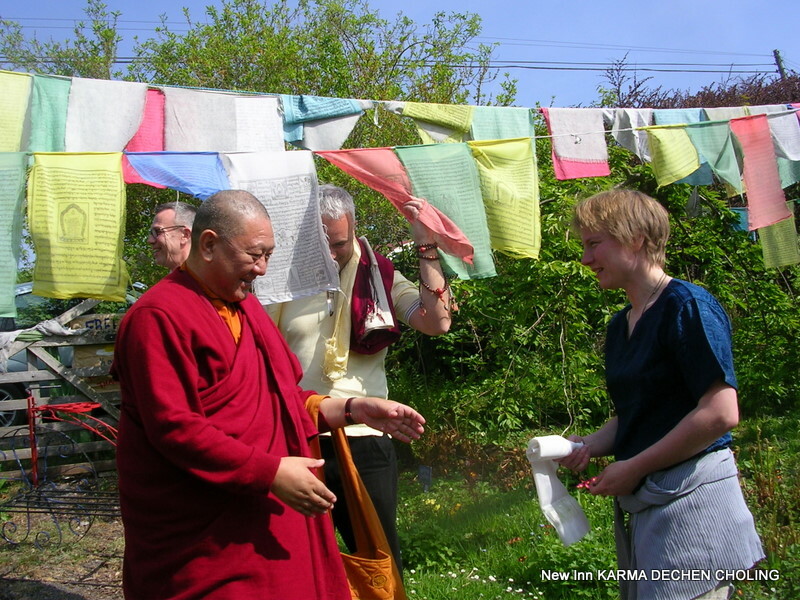 She continues her study and exploration of the Dharma with the SakyongMipham Rinpoche and Lama ShenpenHookham. 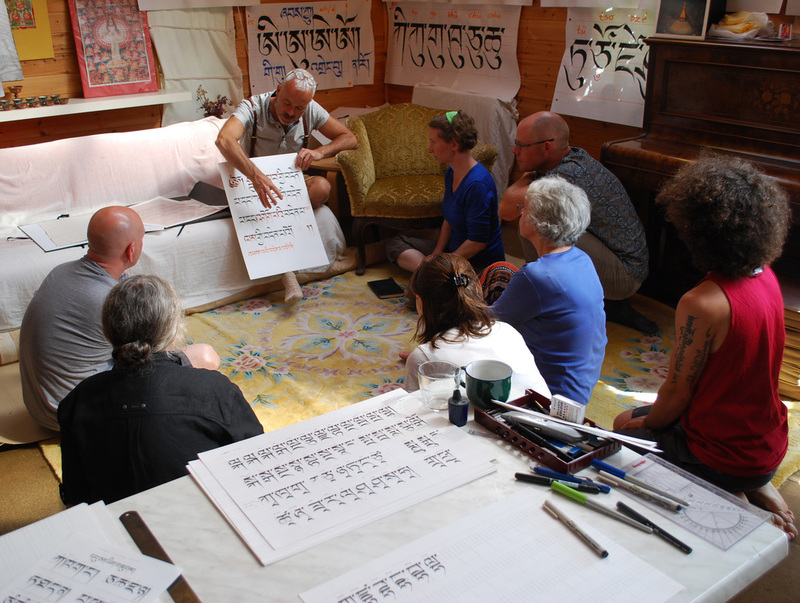 Pema has been a member of the Awakened Heart Sangha since 2001 and a has taught Dharma since 2006. Prior to becoming Lama ShenpenHookham’s student, she studied with John GarrieRoshi from 1988 until his death in 1998. Pema lives in a secluded mountain valley of Snowdonia, not far from the Hermitage of the Awakened Heart, where she has a healing-bodywork practice. She is married with three grownup children. 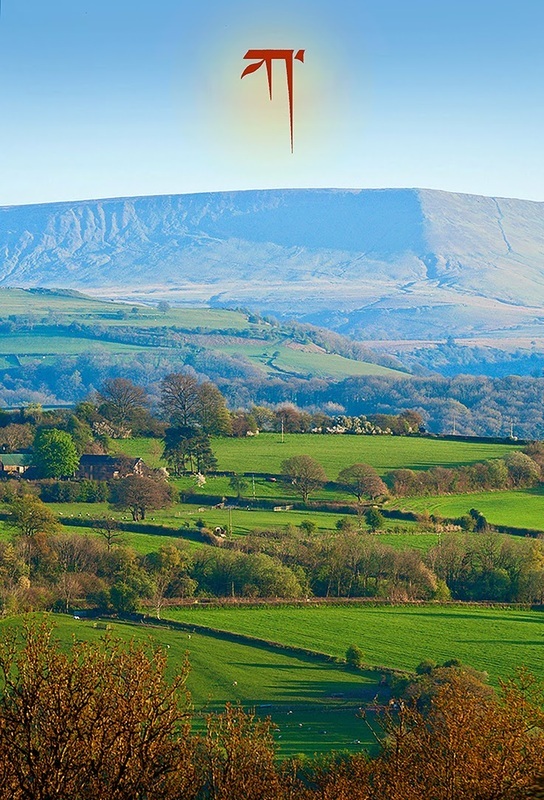 A great glamping spot near the Welsh border, New Inn Brilleyis a lovely two-hour walk from Hay-on-Wye – with new affordable dormitory - a train wagon, cabins and other glamping in its magical garden. Tibetan peace flags are strung between the trees with fairy lights and signs with Buddhist teachings all along the little pathways. There is a spacious meditation hall and stupa – the stupa is the sister stupa to ours at the Hermitage. Daphne who runs New Inn has known Lama Shenpen for many years and they had auspicious meetings leading to the building and consecration of both stupas. Daphne has kindly offered us a special discount for this retreat. Saturday 20 July 2019 – Friday 26 July. We may come together for meditation on the Friday evening 19th before the event officially begins on Saturday. This is a weekend teaching event followed by the option of staying longer for up to a 5 day retreat, attendees can stay on for as many days of the retreat as they wish, but can’t come in the middle. It is possible to just come for the weekend. There are many other B & B nearby. There is limited parking at New Inn but places available nearby, more information about this nearer to the time. Nearest Train is Hereford or Leominster. People might want to organise lift shares. There will be two costs for this event – accommodation is booked via New Inn website and also our running costs to cover teachers’ expenses and food for all. Please make a dana offering to the teachers if you attend this event. The accommodation is booked and paid direct via the New Inn website with a 33% reduction and online code AHS Retreatgiven to us kindly by Daphne but the dwellings are dependent on availability and the on-line system is open to anyone who books first – we couldn’t reserve the whole site – it is first come first served so please book as soon as possible - this on-line system takes a 40% non-refundable deposit. It works out really affordable and the dwellings are totally charming with individual compost loos and outdoor showers, cooking facilities - some have outdoor bathing and each dwelling is unique and in its own private space and amazing views. There is a choice of dwellings with different pricing to suit different pockets and choices!More information on the online booking system below. As you explore the New Inn website you will notice that the glamping dwellings can sleep small groups of people, some have 2 double beds for instance, you may want to form small groups and then book into the accommodation – as mentioned it is 40% upfront as a non-refundable deposit and a month before the event please pay the rest. The second costs will be to cover the teacher’s expenses of travel and staying at New Inn and simplemeals for everyone.These costs do not include the accommodation. £90 for weekend plus £35 per retreat day = £265 for seven days! You can decide how many days. Dana – please make an offering to the teachers. Please book for this event by emailing sallypayen@gmail.com. As this isn’t an official AHS event please pay into Sally Payen’spaypal account – there is no rush to pay for this side of the event but please pay a month before we begin so we can shop for food etc. Any additional enquires please email Sally - sallypayen@gmail.com. How to book the online system for the accommodation, see availability and how the pricing works. Put the dates you want to stay in the check in and check out box, i.e 19 July – 26 July if you are coming for full event. You are then taken to another page with all the accommodation available for this time. Put the code AHS Retreat in the promo code box at the top and the reductions come up and then follow the booking system – it is easy as I have booked myself in. We all experience problems and difficulties, from worries about work or family to problems associated with ill health and ageing. 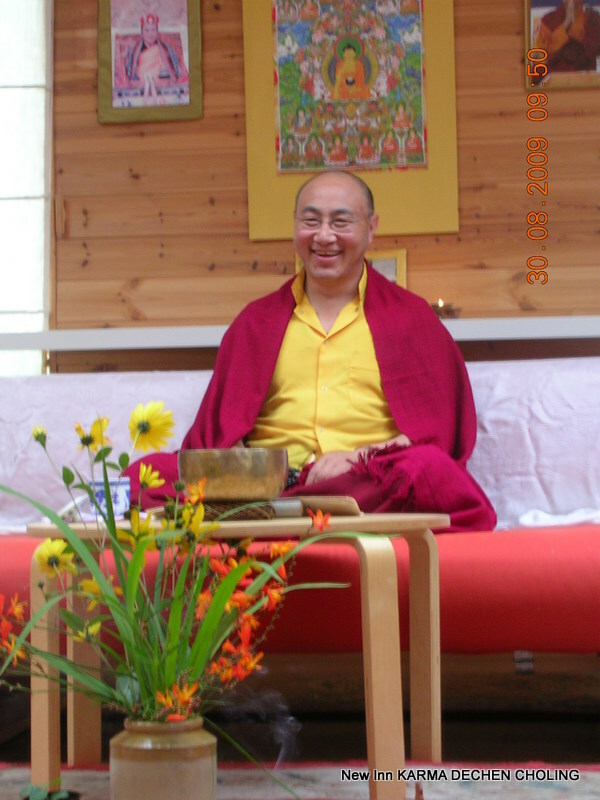 The practices of Thought Transformation (Tibetan: Lojong ) offer us the opportunity to utilise difficult situations productively within the spiritual path. They can help us to develop qualities such as patience, love, compassion and wisdom, which will contribute to our own happiness as well as putting us in a better position to truly benefit others. Through a combination of presentation, meditation and discussion we will explore the practical application of ‘thought transformation’ within our daily lives and practice. We will be using 8 short verses containing the essence of thought transformation by the eleventh century meditation master, Langri Tangpa. About Martin Kerrigan Martin has been teaching both Buddhism and secular/interfaith meditation for many years. 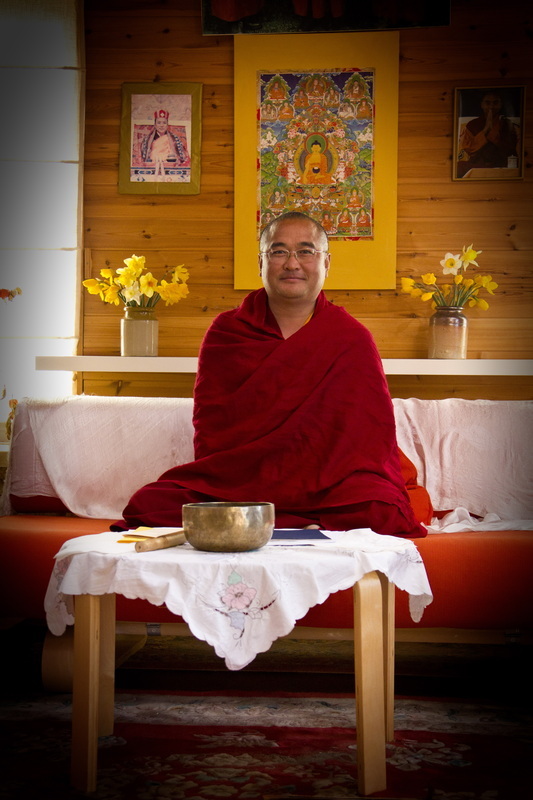 He is an accredited Buddhist Teacher within the Foundation for the Preservation of the Mahayana Tradition (FPMT). Teachings are offered for free, though my suggestion to offer a small donation to Martin for his travel expenses. Please bring something for lunch to share, simply some salad cheese and bread, things that do not need warming up.. just to simplify.. 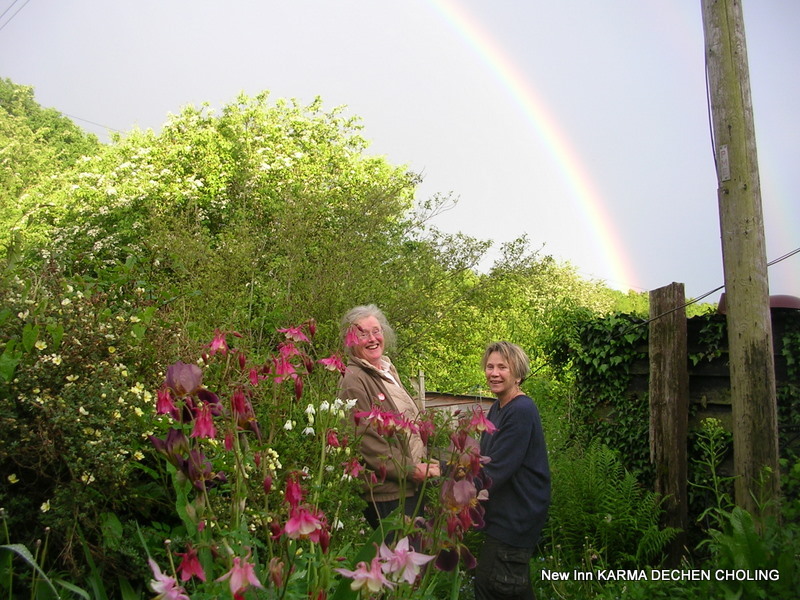 I have known Martin and Sarah now for over 20 years at Jamyang FPMT, a centre that I respect greatly, ‘coincidence’ never is….. we met again very recently as they manage a National Trust property in Monmouth. Martin and Sarah love this place and want to contribute particularly for the maintenance of the Stupa, as the benefit of a Stupa is limitless to beings and its surrounding. It is an opportunity to get back together again, to slow down and contemplate on what really is important…. A way to find the road to peace within. 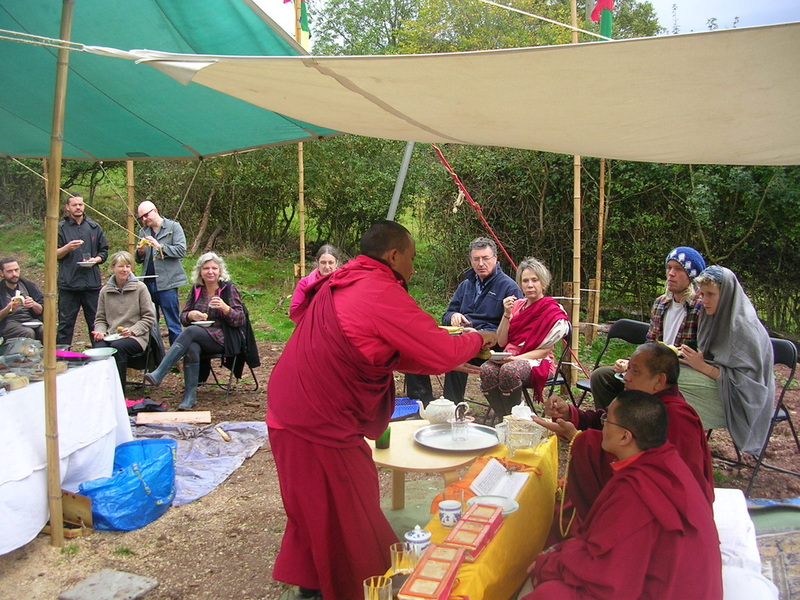 I think we all had such an amazing time, Lama la showed such skill as to go deep in to the core of the meaning, and give us a glimpse of actually 'how things are' through the 12 links of dependent arising..
2nd day Special insight – how things are..
We shall do our best to prepare a tasty main wheat-free course, if you can bring something to add to, that would be lovely. There will be a box where you will be able to contribute for ; Lunch and tea and buscuits £7.50 if you are staying for supper then £12.50 per person per day. We would appreciate payment in advance which secures your place and makes organizing this event easier. Accommodation and camping is possible at the www.newinnbrilley.co.uk with 20% discount. It will be lovely to get together once again and be reminded of the importance of the teachings, and the possibility to share this precious gift thanks to the generosity of our precious teachers, lets make most of this opportunity. Now not much time left, the accommodation remaining is in the Self Catering, sharing facilities, space for 4 people, ? £15 each per night, one double room and one twin space. We're so pleased you're able to join us for the 'Introduction to Stages of Meditation' teachings led by Kenpo Karma Namgyal from 19th-21st August 2014. We're very excited about his visit and delighted to be sharing this wonderful experience with you! We're writing to share a few bits of important information in advance of the teachings and would be grateful if you could read this through carefully and get back to us as soon as possible where a response is required to help us ensure the teachings run as smoothly as possible. We also need to know (please e-mail me: cerihayes@gmail.com) byWednesday 6th August how many meals you will require. Lunch will be served each day at approximately 12p.m and then supper at 6p.m. The payment for teachings does not cover the cost of food and there will be a charge of £7.50 to cover lunch, tea and biscuits or, ﻿if you also require supper the charge will be £12.50﻿ per person per day. Lunch and dinner will be cooked meals (not sandwiches) and all food will be wheat-free and vegetarian. Unfortunately we are not able to cater for any other food allergies and intolerances, because we have very limited capacity! Please also remember to bring payment for the food with you - we will make a box available to collect this on the first day. You may wish to bring a note book and pen/pencil, wellies/outdoor footwear and wet weather gear (in case the weather is inclement) and your own meditation cushion if you have one (if not, these will be provided). 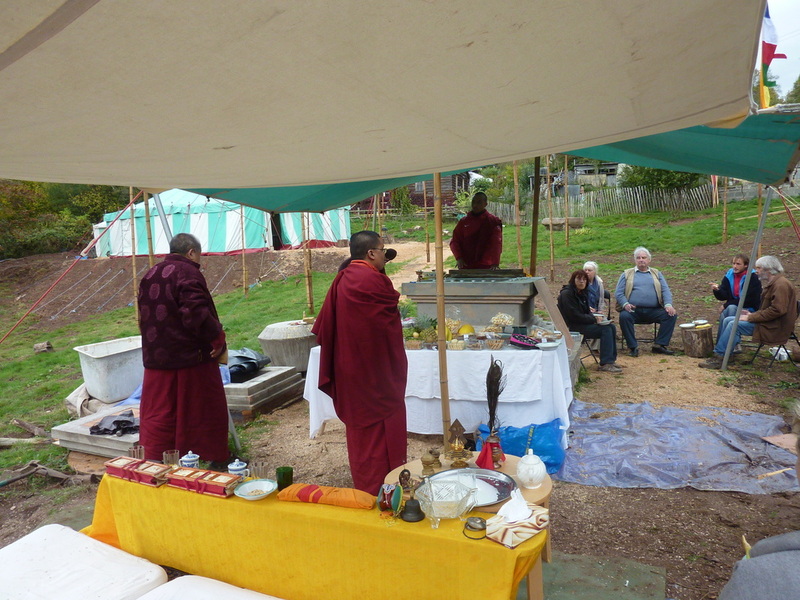 As within the tradition, there will also be an opportunity to make an offering to the Lama (we will provide a donation box to collect offerings and this will be presented to the Lama on everyone's behalf at the end of the teachings). We very much look forward to seeing you all at 9a.m. on 19th August. If you have any queries in the meantime please e-mail me at this address. However, please note I am travelling overseas from 3rd-17th August and will only have intermittent access to e-mail, so if your query is urgent please contact Lesley on lesleyangmo@yahoo.co.uk or 01684 573737.